Poke (pronounced Po-kay) is still one of the hottest food trends right now. For those of you who may still not be aware, poke is a type of fish salad that began with fishermen seasoning the cut-offs to serve as a snack. The traditional seasonings used have been heavily influenced by Japanese and other Asian cuisines. Seasonings typically used are sesame oil, nori, furikake, and the like. We always love finding new places to try this delicious dish. We have even done a round-up of some of our favorites! Ocean Poke Co. recently opened in Phoenix and has definitely become a new favorite to be added to the list! It might seem as though we are getting an over saturation of poke around the Valley but we disagree. With all of the fish in the sea, there is something for everyone. 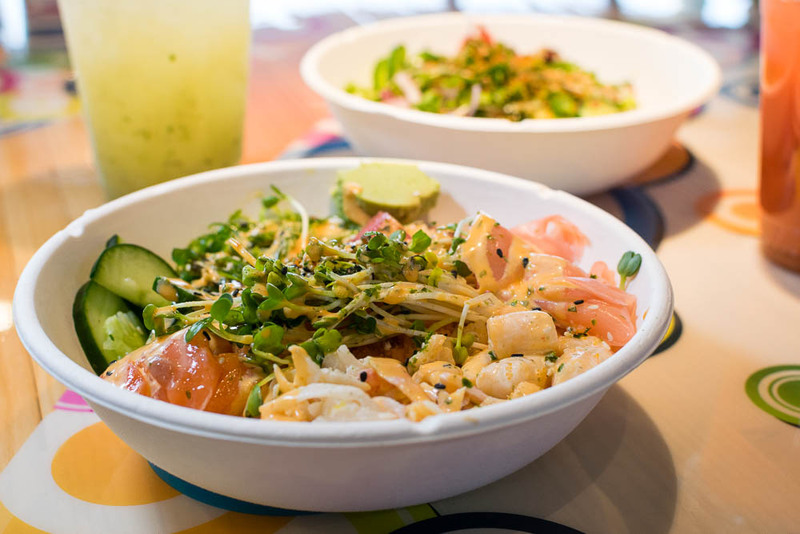 Ocean Poke Co. offers over 20 different ingredients including fish and shellfish, veggies, fruits, and healthy grains. You can even make a veggie bowl if raw fish isn’t your thing. We recently visited Ocean Poke Co. to get our poke fix. They offer several Signature Bowls or a Build-Your-Own option. We chose to build our own poke creations. We selected to create our own work of art. We were really impressed with not only the selection of ingredients but also their quality. In addition to the typical salmon and tuna, the scallops and octopus were exceptional. We also really enjoyed the fact that the rice was served cold instead of hot. This helped the rest of the ingredients stay cool. We can’t wait to return and try out some of their Signature Bowls! 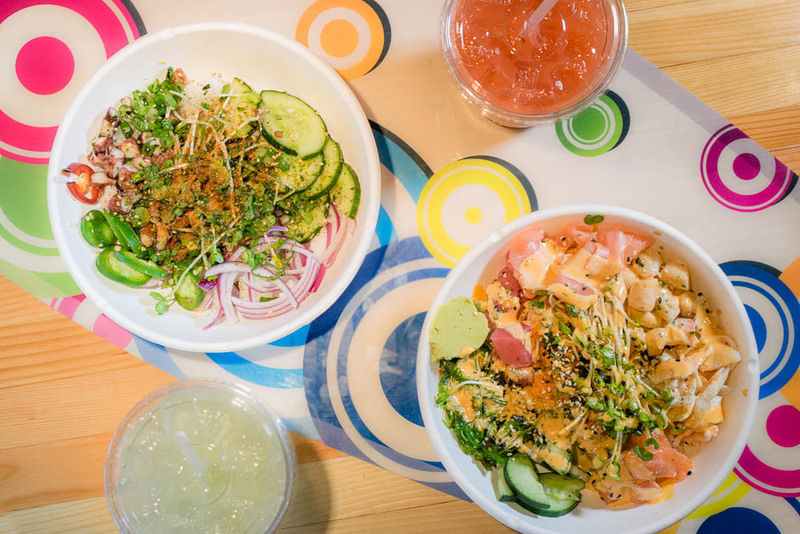 Have you gotten into the poke craze? What are your favorite toppings? Leave a comment below with your ideal poke bowl! We’d love to hear all about it! Also tag your poke photos with #GeekEats. These dishes seem so mouth-watering. Excellent post!